Fall is for leaf-peeping, fire-building, pumpkin-picking and — you guessed it — seasonal craft-making. But not all Thanksgiving/fall crafts are created equal in terms of skill level. And it's never fun to watch tears of frustration form when a kid tries to create some crazy-difficult paper turkey DIY. Enter these super-easy crafts. These fun projects are simple enough for even your tiniest of crafters. Plus, there's even a thankful tree craft that doubles as a teachable moment for talking about gratitude. So gather your kids and your jar o' paste — and just make sure they don't eat it in the process. The pumpkin is a classic symbol of fall. 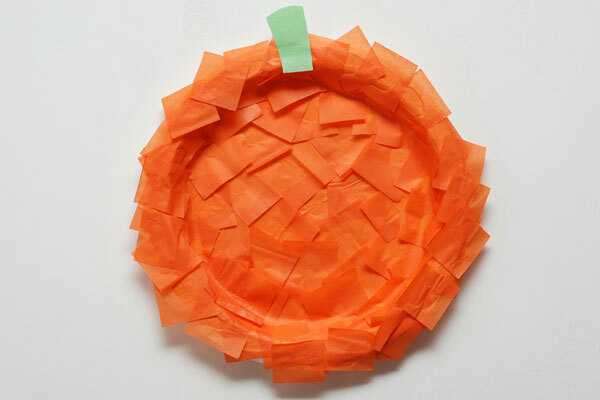 Kids can enjoy making a simple Thanksgiving decoration while practicing coordination and fine motor skills. With the paintbrush, "paint" the wrong side of the paper plate with the watered-down glue. Glue pieces of the orange tissue paper onto the plate. Glue the green construction paper to the top. 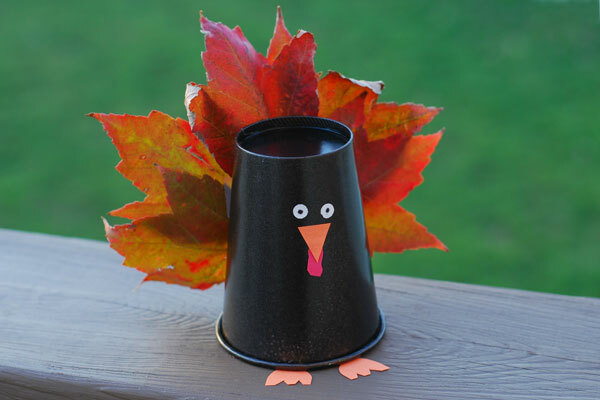 Have your child gather some fall leaves and use them to make "feathers" on an adorable paper cup turkey. Once it's complete, the turkey will be a cute decoration for your tabletop or mantel. With the paintbrush, apply the brown paint to the paper cup. Allow it to dry. Turn the cup upside down and glue fall leaves to the back to make the turkey's feathers. With the scissors and white construction paper, cut out 2 small circles to create the eyes. Use your black pen to put a black dot in the center of each circle; then, glue them onto the cup. 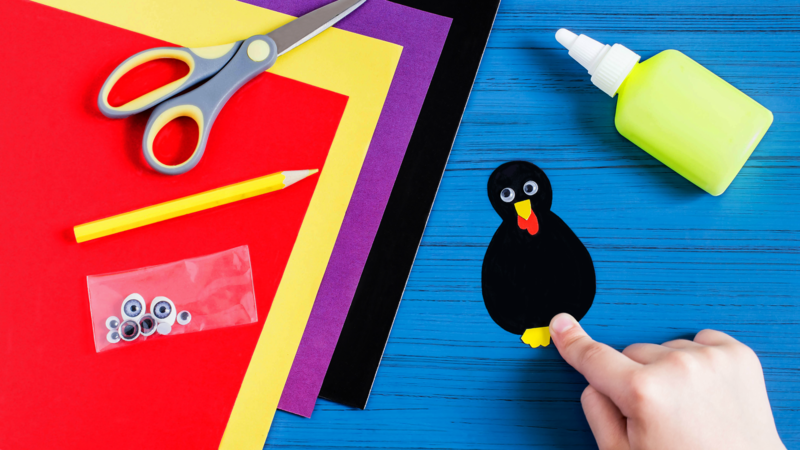 With the scissors and red construction paper, cut out a squiggle to form the gobbler; then, glue it on the cup below the eyes, leaving a little room for the beak to overlap the gobbler. With the scissors and orange construction paper, cut out a triangle for the beak and 2 (3-toed) feet. Glue the beak under the eyes and over the gobbler (leaving some of the gobbler visible) and glue the feet to the bottom lip of the cup.